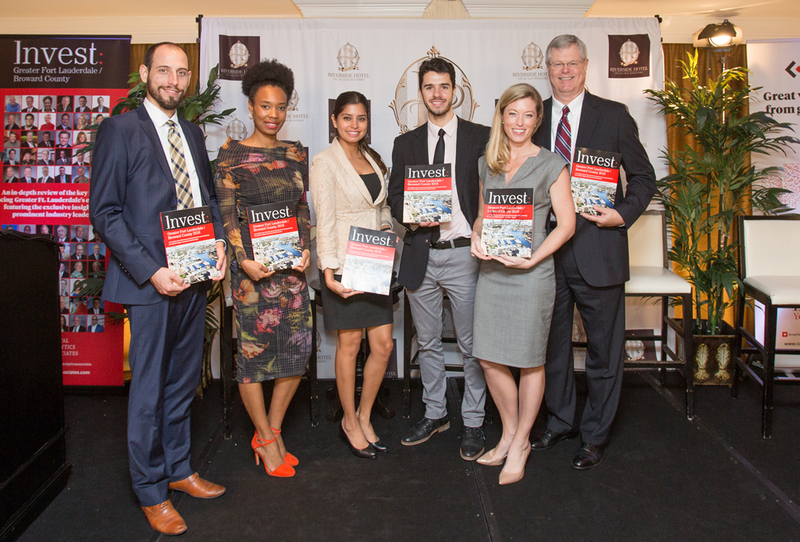 Fort Lauderdale, FL – November 9, 2017 – Greater Fort Lauderdale’s international potential, growing infrastructure and vibrant economy are some of the focal points in the first edition of Invest: Greater Fort Lauderdale/Broward County from Capital Analytics. 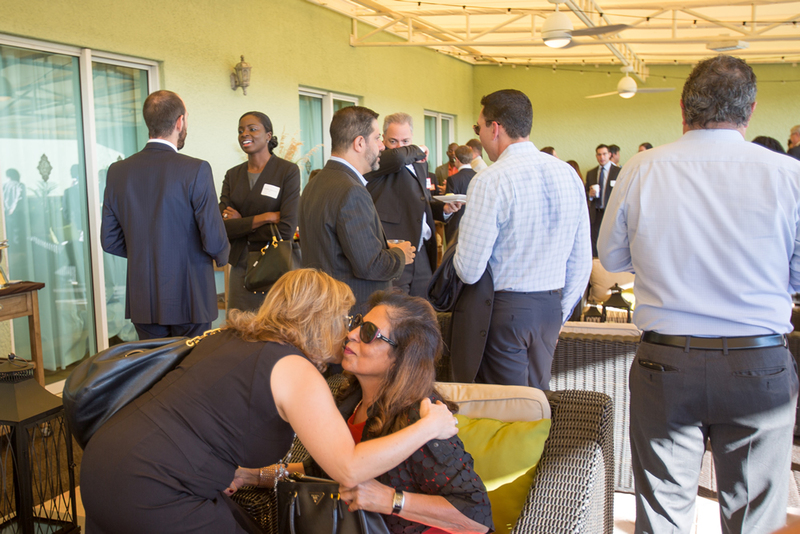 The official launch of the publication took place on November 8 at the Riverside Hotel in downtown Fort Lauderdale. The yearly business guide reviews the business climate of Greater Fort Lauderdale, analyzing Broward’s top industries and interviewing leading local CEOs. The 140 plus page report offers a comprehensive yet concise view of the county’s ever-diversifying economy. 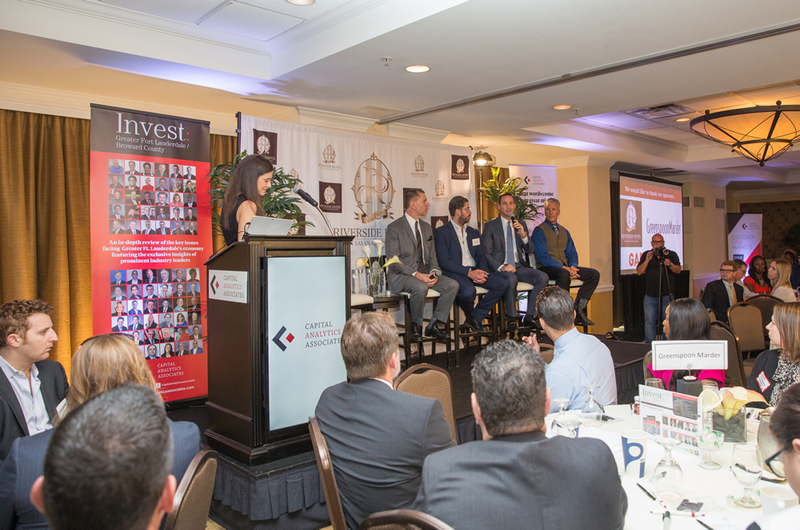 Following a short networking breakfast, Capital Analytics hosted two discussion panels that went in depth into discussing the key issues currently facing the Broward County economy. The first panel discussed increasing urbanization and the future of Broward County. 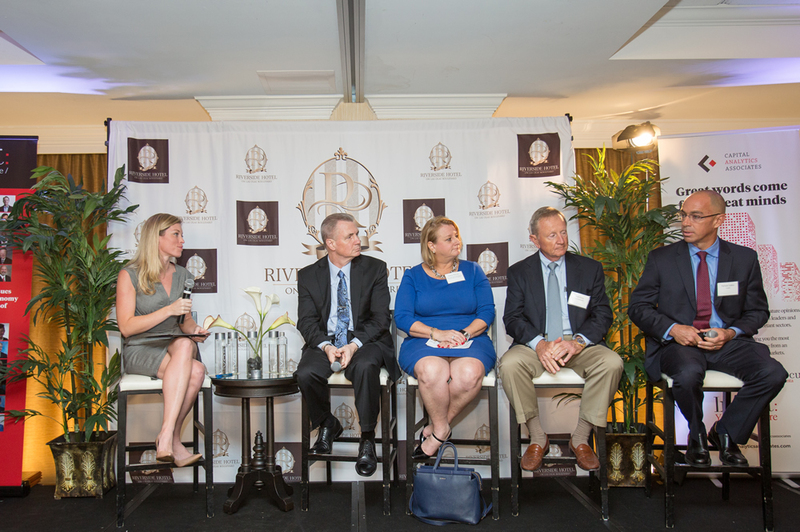 The panel was moderated by Rebecca Bratter, managing shareholder of GreenspoonMarder, and panelists were James Donnelly, chairman of the Broward Workshop and founder & CEO of the Castle Group, David Martin, president of Terra Group, Cressman Bronson, regional president for PNC and David Coddington, vice president of business development for the Greater Fort Lauderdale Alliance. David Martin laid out a vision for how trends in urban living in South Florida are leading to massive mixed-use projects such as Pembroke Pines City Center. James Donnelly relayed key findings from the Broward Workshop’s skills gap analysis of the local workforce and ways that they are working with the business community and education sector to close these gaps. Cressman Bronson furthered the emphasis on improving education, pointing to the higher net returns on investment in early childhood education. David Coddington underlined the competitive advantages of Greater Fort Lauderdale’s business environment and how the Alliance is working to attract new businesses such as Amazon to establish local operations. The second panel discussed the state of Broward County’s infrastructure and was moderated by Capital Analytics’ president Abby Melone. Panelists were Diana Alarcon, director of the Fort Lauderdale Department of Transportation and Mobility, Patrick Collins, general manager of Crowley, Mark Gale, CEO of Fort Lauderdale-Hollywood International Airport and Bob Moss, chairman & CEO of Moss & Associates . Mark Gale and Patrick Collins pointed to the massive capital expenditure programs taking place at the airport and seaport as signs of the growing strength of Broward County’s infrastructure. Bob Moss commented on how such infrastructure investments such the airport and seaport expansion projects as well as the new Brightline are driving the local construction market. Meanwhile, Diana Alarcon gave a detailed insider’s perspective on where the county’s transit infrastructure is headed to meet the needs of a growing population. 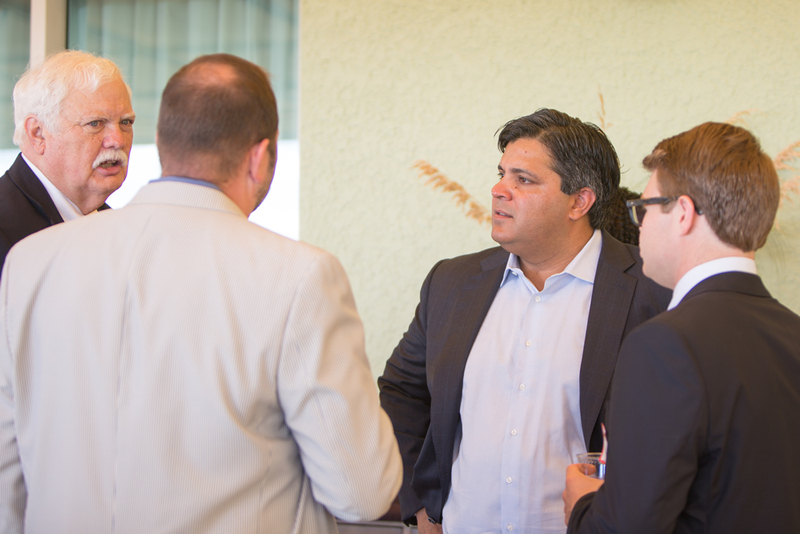 The event was attended by hundreds of high-level guests and officials from some of Broward County’s key industries and economic institutions. 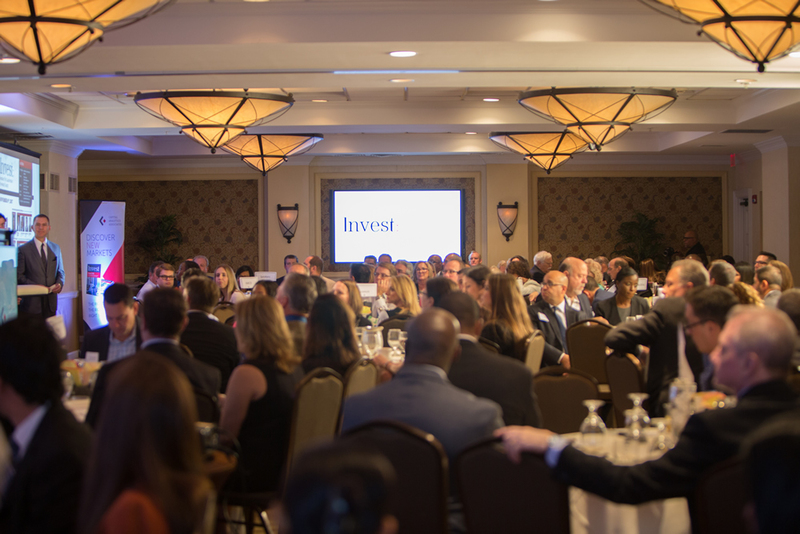 Invest: Greater Fort Lauderdale/Broward County is an in-depth economic review of the key issues facing Greater Fort Lauderdale’s economy featuring the exclusive insights of prominent industry leaders. Invest: Greater Fort Lauderdale/Broward County is produced with two goals in mind: 1) to provide comprehensive investment knowledge on Broward County to local, national and international investors, and 2) to promote Broward as a place to invest and do business. The book conducts a deep dive into the top economic sectors in the county including real estate, construction, utilities and infrastructure, transportation and aviation, marine and logistics, banking and finance, health, education, sports, and arts, culture and tourism. This year’s publication will also go in-depth into the City of Pembroke Pines and the City of Dania Beach. The publication is compiled from insights collected from more than 100 economic leaders, sector insiders, political leaders and heads of important institutions. It analyzes the leading challenges facing the market, as well as covers emerging opportunities for investors, entrepreneurs and innovators.